Priority situations don't always wait for ideal weather. Stay safe and protected while serving outdoors with this brilliant, reflective rain suit. 2" wide silver reflective material. 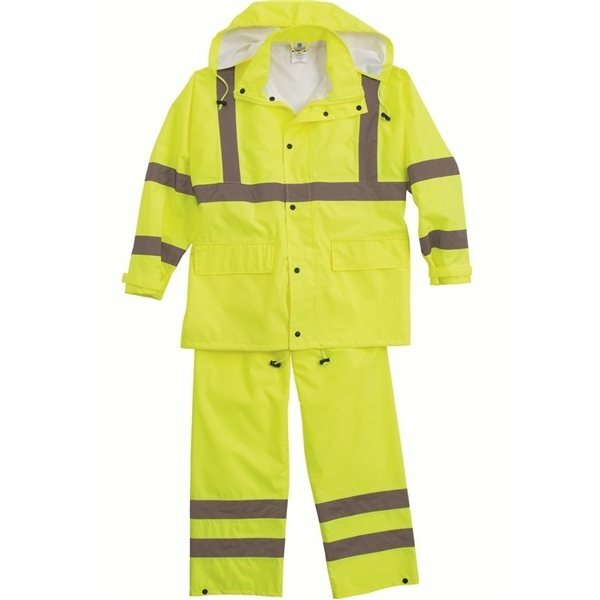 Jacket: ANSI/ISEA 107, Class 3 compliant. Excellent quality and imprint looks great! Happy with the quality and look! Processing the order was also very simple. great quality, nice features, reasonable price, wonderful useful take-away for our national and international conference speakers. I would reorder these! Very good quality for the price!